Clair had the fantastic opportunity this year to volunteer with the City of Corvallis Development Services at the Corvallis Farmers Market in their event "Kids! Build a Birdhouse with an Inspector". The event was amazing! The City of Corvallis has an outstanding group of inspectors, plan review staff, permit technicians, and building officials. 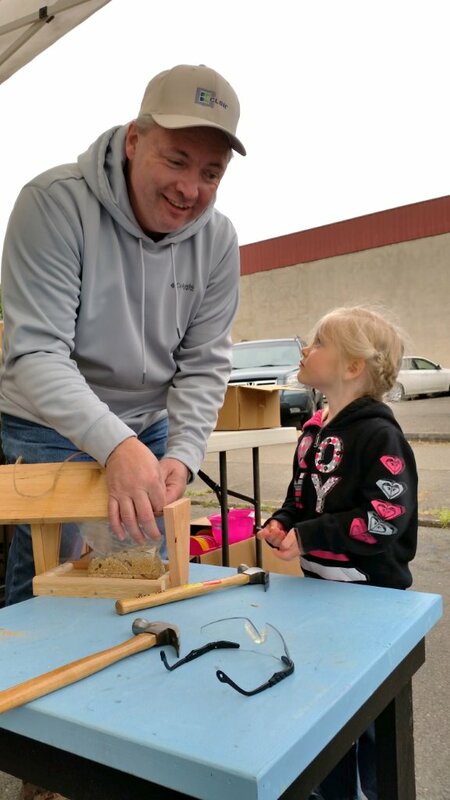 We were honored to join them in talking with the community, sharing building code knowledge, answering questions, and best of all building birdhouses, bird feeders, and squirrel feeders with all the kids!